A newly approved drug that is the first to reflect the current scientific understanding of MS – is holding new hope for the hundreds of thousands Americans living with the disease. It also highlights the importance of clinician-scientists like UC San Francisco's Stephen Hauser, MD, who are working to transform research into cures for patients. The first episode of MS typically strikes in early adulthood and the disease advances over the years to devastating disability. Depending on where the inflammation occurs – the brain, spinal cord or optic nerves – patients can develop muscle weakness, incoordination, bladder difficulties, visual impairment and cognitive problems. There are no cures for MS, and existing treatments only partially reduce symptoms of relapsing-remitting MS. No therapies at all have been effective for primary progressive MS – until now. The approval of the ocrelizumab comes after studies that have shown remarkable results for both forms of the disease. These Phase III trials have shown that ocrelizumab, an antibody that targets the CD20 molecule on the surface of B cells, is extremely effective for relapsing-remitting MS, which is caused by B cells circulating in the blood and bound for the nervous system where they orchestrate inflammation. These B cells – about 2 percent of the B cells in the body – are destroyed reliably and for several months with each dose of ocrelizumab treatment, which is given by infusion every six months. The trials were sponsored by F. Hoffman-La Roche (Roche), the company that holds the patent on ocrelizumab. "The availability of a highly effective and well-tolerated treatment means that people at the dawn of their MS can be treated with a therapy that will essentially completely block the inflammation in myelin that causes relapses and remission," said Hauser, chair of the UCSF Weill Institute for Neurosciences. "And we are optimistic that by doing so, the outlook over many years will be even more favorable than it is today." Approval of ocrelizumab could mean a new outlook for patients such as Sarah Warto, one of Hauser's patients. Her most recent flare-up occurred after she'd given birth to her daughter two years ago. "I had a fairly severe attack that really limited my ability to use my leg. I could walk for a minute, and then after a minute it was like a totally different person had taken over my body," she said. Just 15 years ago, Hauser and his colleagues were told by the National Institutes of Health that his proposal to test a B-cell-targeting MS drug lacked "biological plausibility." At the time, it was still widely accepted that another type of immune cell, known as T cells, were the culprits behind MS – an idea based on an inaccurate mouse model of the disease. In the mice, researchers could transmit an MS-like condition from one animal to another simply by transferring T cells, but the underlying tissue changes in the mice did not closely resemble those in human MS. Nevertheless, most researchers shrugged off the discrepancy and continued to rely on these models. The new model led to what Hauser calls their first eureka moment: when they saw antibodies tightly bound to the degenerating myelin proteins. These were the same antibodies that could be detected in the spinal fluid of patients with MS, and had long been used as a diagnostic marker for MS – yet considered to be insignificant to the disease mechanism because they were produced by B cells rather than T cells. Here they were, clearly complicit in the disease. "This was a paradigm change for the field," said Hauser. He and his team now believed that antibodies working alongside T cells were key to the myelin destruction. It would be another couple of years before they realized they still hadn't hit the nail on the head. "We were devastated," said Hauser. "But we were not ready to quit." "We were hoping that with one dose we would see a tiny little effect that would give us courage to embark on longer studies," said Hauser. "There was an almost immediate and nearly complete blockade of all new inflammation in the people who had received the drug," said Hauser. The stunning results after just one dose told them two things. "First that we had something that was likely to help many hundreds of thousands of people, and second that the science that had driven the experiments was wrong," said Hauser. 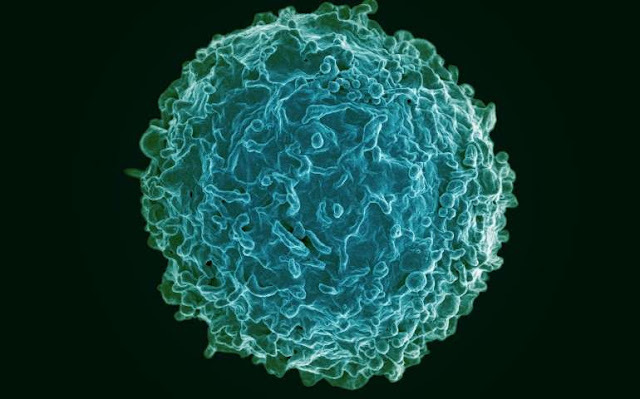 It was almost certainly not the antibodies instigating the nerve damage, a process that would've taken longer to reverse, but the B cells themselves. Crosstalk between bench and bedside was key to solving the mystery of MS, and clinician-scientists like Hauser are essential conduits. "Clinician-scientists are always working in two areas," he said. "We want to understand as deeply as possible the cause of the disease we're studying, and we also feel responsible for driving that understanding forward for better therapies today."